Valentines Day is coming and I would like to welcome you to stay home for dinner. There are a lot of different ways you can go when thinking about your menu. Some would say do all your most rich and decadent recipes. Others would tell you to make sure and have as many aphrodisiacs as you can. Still others would say cook what you know and do it well. Why not try and incorporate all of the above. Let’s explore the concept of rich and decadent. Decadence is great and rich is even better but I don’t think I would build a whole meal around that. Let’s face it Valentines Day is suppose to incite love and intimacy. Think back, how intimate did you feel at the end of a heavy rich meal? Yep, you got it. So maybe we want to feature just one recipe that is rich & decadent. Dessert is always a good choice. Because it is at the end of the meal you won’t necessarily be tempted to over indulge. For the rest of meal it is my humble opinion that you err on the side of lighter and cook what you know. So let’s delve into what I consider basics. These are the recipes that every cook should have in their repertoire. Food & Wine recently posted their list and it included roast chicken, risotto, and apple pie. You will eventually have you own list but I propose the following recipes be included. Have a great soup, a great cookie, and a great wow factor recipe. The wow factor is that one recipe you know people go crazy for, every time. It doesn’t have to be a hard, time intensive recipe just one you always get the reaction for. We’ll talk more about that in a future post. Let’s start to build our Valentines Day menu. I love the idea of being cozy by the fire and sipping a soup and eating a sandwich. What is your favorite soup and sandwich combination? I love vegetable puree soups. You can make them with out cream and they can still have a rich quality. Even though soups are very popular, they still give the impression of being labor intensive and therefore, wow factor. Here is an amazing recipe for broccoli soup that is really easy to prepare but your guest will think it took hours. In a large saucepan bring stock and water to a boil. Add the broccoli; make sure the broccoli is completely covered. You can add more water if necessary. Cook until tender. It usually takes about 8 minutes but keep an eye on it. 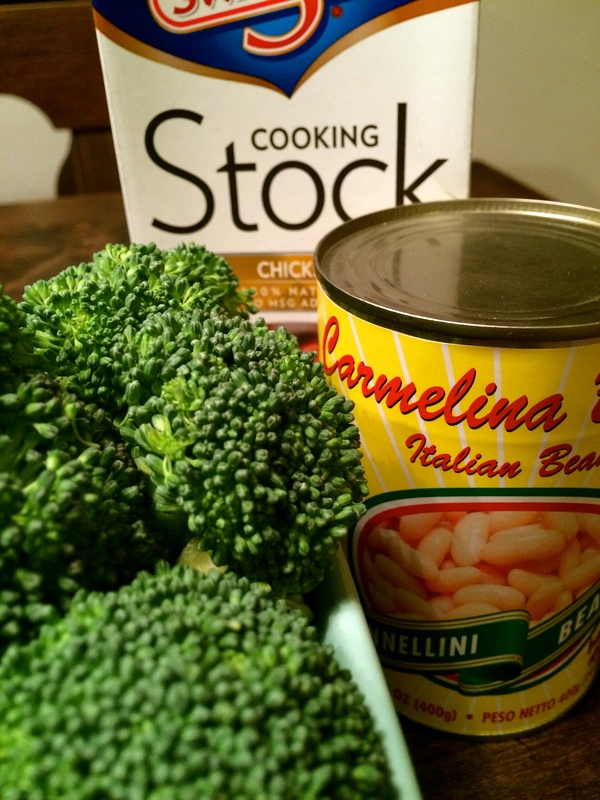 While your broccoli is cooking, puree the rinsed cannellini beans. You can use a blender or food processor. Set aside. When broccoli is cooked, start pureeing in batches, with a little of the liquid at a time. Special note here: hot liquid expands and can be volatile. Pay attention to what your appliance recommends for maximum hot fill line. Once you have pureed all the broccoli return it to the pan and whisk together with remaining liquid. Bring back to a boil. Reduce heat and whisk in pureed cannellini beans. Of course you have to have a great sandwich to go with it. You can do a grilled cheese or pick your favorite. It’s up to you. You find that recipe and I will take care of dessert. I love chocolate! It is the most sensuous of foods and of course it is an aphrodisiac. This recipe combines the richness of a chocolate brownie and the memory inducing taste of s’mores. I love serving this “deconstructed” but you can put it all together to make it yours, too. Bake in a low oven, 275 for 35-40 minutes. It will still be slightly “wet” when it comes out but will settle. Cut marshmallows in half and place across the top of either each muffin or the loaf. You can brown the marshmallow under a broiler or with a kitchen torch. 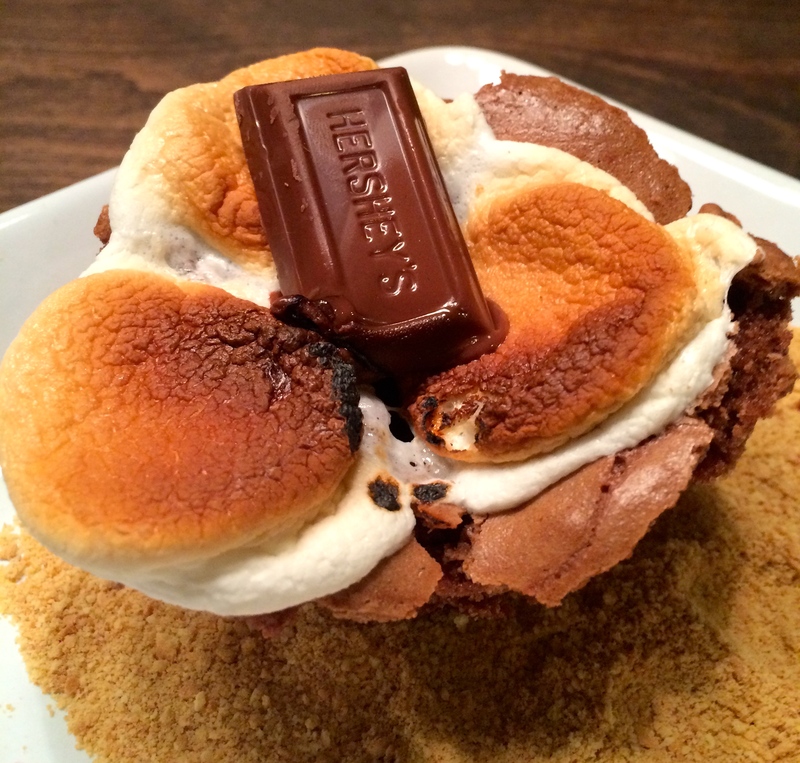 Serve over graham cracker crumbs and a garnish with a Hershey miniature. I love this dessert. It is whimsical and decadent but not to rich. Don’t forget the wine or champagne and let’s raise a glass to love. Happy Valentines Day! « If It Ain’t Broke Don’t Fix It! !